It’s the last Freebie Friday of 2017 and the year has really flown by. Like many of you, I am looking forward to 2018 and the new possibilities I want for the new year. One of my goals is to start eating healthy and getting more exercise. When it comes to exercise, I will need all the help I can get to help motivate me to get to the gym. With that in mind, I am turning to my planner to remind and inspire me with these wonderful Fitness Quote Stickers. 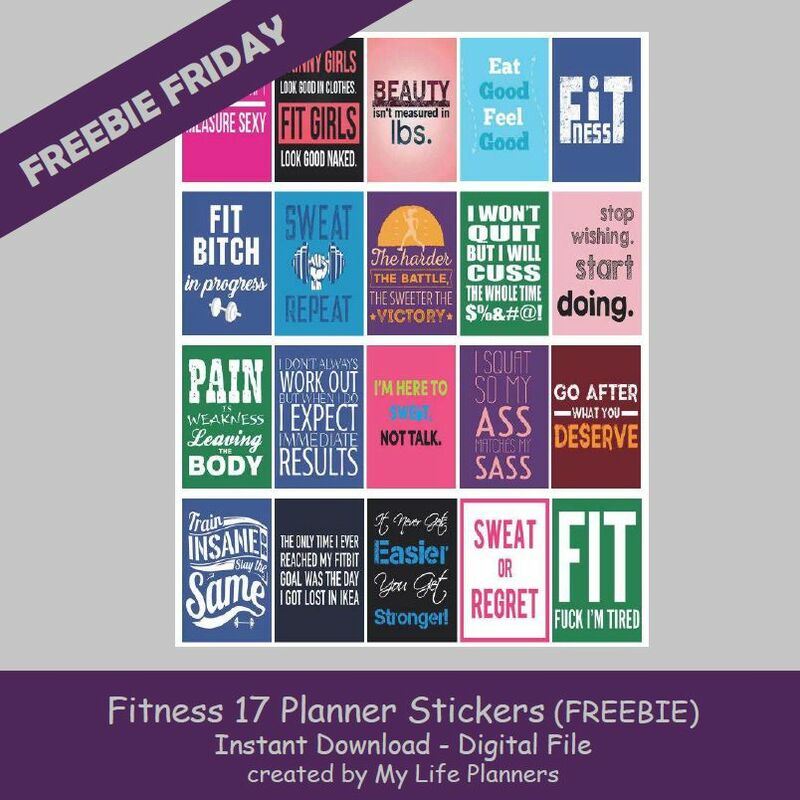 So before the year ends, this week’s Freebie Friday is featuring Fitness Planner Quote Stickers. In case you missed last year’s Fitness Planner Stickers you can revisit and download those from here.